You are a recently divorced industrial fastener salesman based out of some podunk central California farming town and you've got a few grand...well, more than a few grand to throw away on a muscle car. With a budget of fifteen large, you head to the SF Bay Area car shows and start to imagine burning rubber and a chunk of your life savings on a car...what do you get, this Olds 442, Mercury Cyclone, or Buick Skylark? 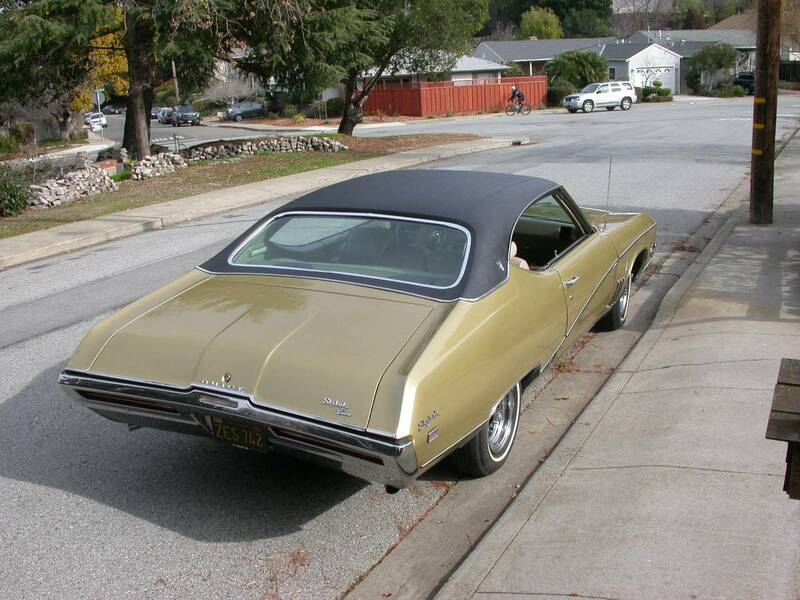 First up is this 1969 Buick Skylark 2-door hardtop offered for $13,750 in San Carlos, CA via craigslist. It is well equipped with a Buick 350 V8, a slushbox automatic, factory air, power steering, power brakes, and a factory tissue dispenser. 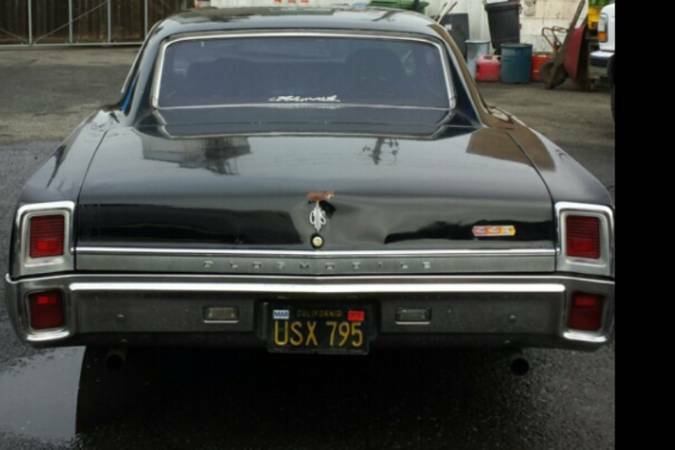 Next up is this 1967 Oldsmobile 442 offered for $13,000 in Petaluma, CA via craigslist. The big beast is powered by a 400 cubic inch V8 mated to a powerglide that rides on "Foose 20inch" wheels. 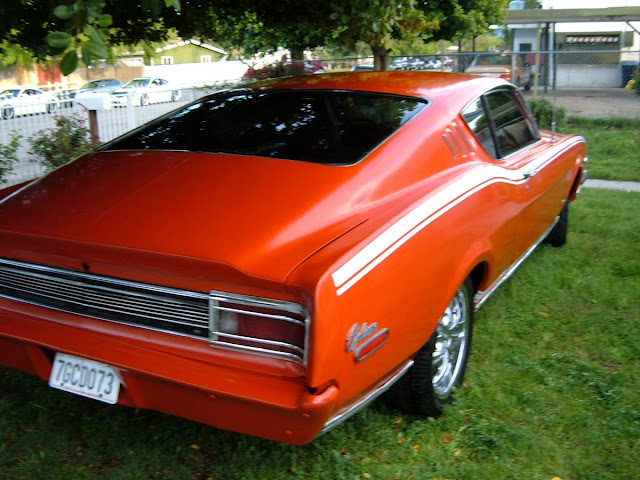 Last in the trio of muscle is this 1969 Mercury Cyclone GT offered for $14,800 in San Leandro, CA via craigslist. The Ford 351 V8 under the hood is mated to yet another slushbox and it is equipped with some blingy 18-inch wheels. Missing link for the Cyclone, I think. Yup -- I forgot the link! Added to the post now, thanks Bobinott for paying attention. Based on rear ends, I'd got with the Olds, but more generally I fall in the none-of-the-above category. It looks like the Buick is the one that's neither beat up nor idiot owned. The Olds engine is supposed to be painted gold, and a 1967 has the THM 400 with variable-pitch stator for better acceleration. The engine looks Olds-like enough that I doubt they really put a powerglide in there. The Cyclone looks like it got painted last week and what the heck would you put painters tape on the brake pedal for? I think my brains say buy the Buick if I gotta pick one, and save up for a less-degraded muscle car. I agree with Bovinity on the Olds, lots of things seem not quite right. The Cyclone is interesting because you don't see too may of them, but the wheels would have to go. The Buick looks clean but the color isn't doing the car any favors. Tough call. the Cyclone, hands down. the design aged way better than the others, I like the big block. the bad paint job and the ugly wheels are easy fixes. Bad paint jobs are risky. A good paint job exposes bad work, but a bad paint job hides bad work. Assume the body needs a lot more work than you see. The Buick seems to be the least futzed with. I'm betting the Olds and the Merc both have a lot of unseen 'modificaitons' and stories to tell. But given a budget of 15k, I think you can do better than all 3 of these. Patience, Grasshopper. Keep looking, and be willing to travel. 67 Olds 442 could be a clone i believe it should have a factory louvered hood then it may be a replacement also. Worst Foose wheel ever...! I am in the Buick camp unmolested great factory wheels the Mercury is maybe the rarest but hate the painted motor and rear bumper (same as body) 351 Cleveland ? fast and thirsty.